After my Go Ape adventure I was still feeling a little shaky and nervous, and was in absolutely no mood to cook. No need for a better excuse needed, then, to head to the newest addition to the North London chain The Blue Legume, in Muswell Hill. I’m hoping that the name is an homage to the totally crap classic ’80s film (which is only saved by the fact that Brooke Shields’ eyebrow game is strong), but I could be making that up completely. 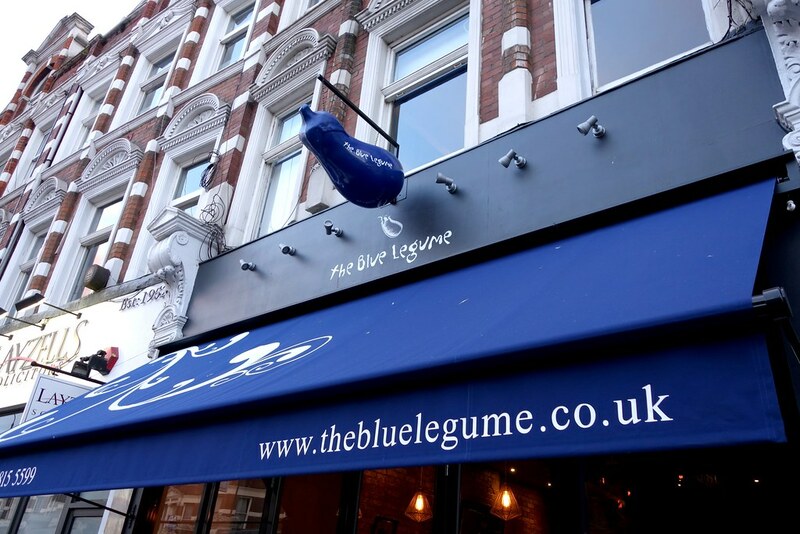 With outlets in Islington, Crouch End, Stoke Newington and Muswell Hill, The Blue Legume serves Mediterranean fare in a casual, bistro-style atmosphere. I can’t vouch for these myself, but Zomato have featured them in their ‘Wonderful Waffles‘ collection, so I’m guessing they’re pretty great at breakfasts. My boyfriend and I split a carafe of wine, which was really reasonable (around £7) – they had quite a wide selection, too. 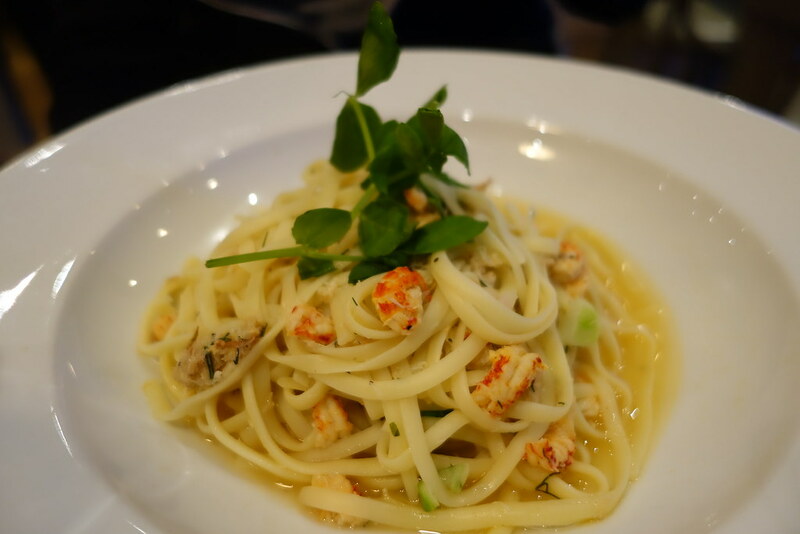 My boyfriend went for a seafood linguini – mixed seafood, although his seemed to be mostly prawns. It was quite a contrast to my mixed seafood risotto, which was about as perfect as seafood risottos get. The perfect amount of bite, seasoned perfectly, with a good mixture of different kinds of seafood – and for under a tenner, really quite reasonable indeed. 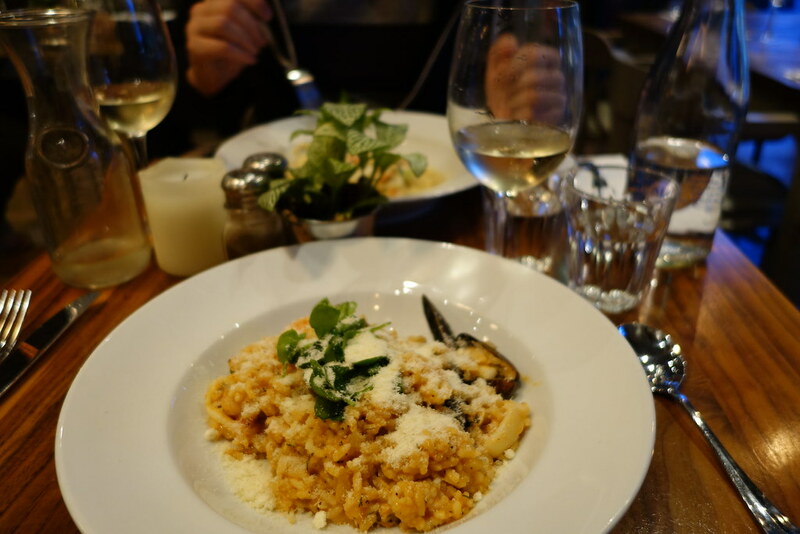 The service was a little more on the slow side than I would’ve liked, but overall I couldn’t fault the experience – The Blue Legume is great for simple, tasty food and wine without breaking the bank. 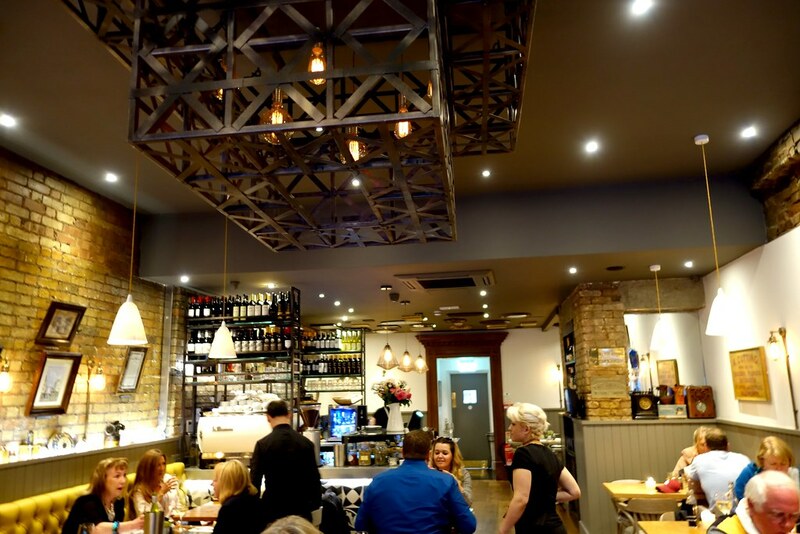 I’ve noticed on weeknights that they’ve been doing a deal – paella and a jug of sangria for two for £25, which is something I’ll definitely have to check out soon! Have you been to any of the Blue Legumes? Be sure to comment below, and don’t forget to follow me on Twitter, Facebook or Instagram! 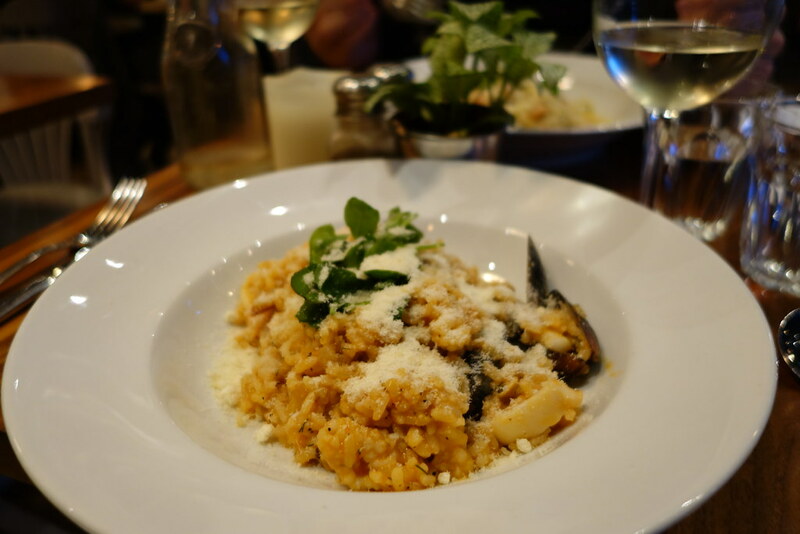 I love risotto but hardly ever find good ones in resturants. I will have to keep an eye open for this chain in case they ever move a bit to the South-West. I have never been to any but the food looks yummy.